Can Bee Pollen Increase Fertility? 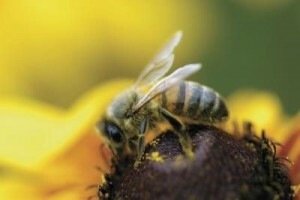 Bee pollen and royal jelly are infamous as a superfood because they have in them almost all of the nutrients that humans need to survive, such as B-complex vitamins, vitamin C, amino acids, simple sugars, fatty acids, minerals, enzymes, as well as some antibacterial and antibiotic components. Who should not use bee products like royal jelly, bee pollen or propolis? Those who are allergic to bees or honey. What is the difference between these products? Royal Jelly is what the nurse bees feed the larva for the first 3 days, and the selected Queen Bee is given royal jelly for her entire lifespan. This specialized diet helps the Queen Bee to have fully developed ovaries and lay up to 2000 eggs per day, billions in her lifetime. Women chose to use it to increase libido and reproductive health, for egg quality support, longevity & anti-aging as well as to boost immunity. Will it help with fertility, egg quality or sperm quality? Some studies show it can support estrogen formation and uterine lining and health, but more studies are needed to know if it definitely helps with egg or sperm quality. What we do know is that it is a great “food” and if you are not allergic to bees to honey, it cannot hurt. If you do choose to use it in your pre-conception care routine, make sure you are getting a high quality product and make sure to tell your obgyn or reproductive endocrinologist (RE) before you start taking any supplements!